West-siders deserve real economic development and quality jobs. As a little boy growing up, I remember wrestling and pretend boxing with my dad. He let me flip him like El Enmascarado de Plata, famous Mexican wrestler, and he made sure I always threw the knockout punch. Yes, he was helping me build my confidence. As I got a little older, I began testing my newfound abilities with him. They didn't work. Every punch I threw he answered with some kind of move that ended with my arm twisted behind my back. "Mijo," he said, "es pura maña" (it is all skill). The lesson he was trying to teach me was that, in life, you learn a few tricks and you fight back with what you have. What got me thinking about this was a recent wrestling match between many residents and Councilwoman Regina Romero, who represents the west side. It started with her "offer" to sell precious, green, open land at El Rio to the private, for-profit Grand Canyon University. Instead of bringing hundreds of jobs and an economic boom to the west side, Romero completely dropped the ball because she picked a fight she could not win: It was with the wrong people, over the wrong place and at the wrong time. I mean, this terrible idea came after two west-side public schools were closed and while Pima Community College - with its largest campus located on the west side - is on probation and at risk of losing its accreditation. One has to wonder how it is even possible that a politician representing this ward could be so disconnected with local, west-side history in the first place. Did she think the veteranos who struggled for El Rio back in the '70s wouldn't notice or care? Opponents of Grand Canyon University put it this way: Picture the sad irony of professors and college students driving along Speedway in expensive cars with California plates on their way to their new university campus while west-side parents drive their kids in the opposite direction to schools outside of their own barrios. Picture families sitting in an overcrowded Joaquin Murrieta Park on a Sunday afternoon while out-of-state students enjoy 100 acres of paradise only a few yards away. Defenders of El Rio were quickly accused of foolishly saying no to hundreds of jobs but it was, in fact, Romero who failed to propose a viable plan. Even though we have plenty of undeveloped city-owned lots, she picked El Rio. Big mistake. Unfortunately, on this issue, Councilwoman Romero will be remembered for her obsession with golfers instead of what west-side families really need: proper economic development, real assistance for local businesses and high-paying, quality jobs. Romero should spend less time fighting her own west-side constituents and business owners, and more time defending them with viable solutions. West-siders have mañas of their own, so it is best to partner with them on a winning plan that benefits all Tucsonans. 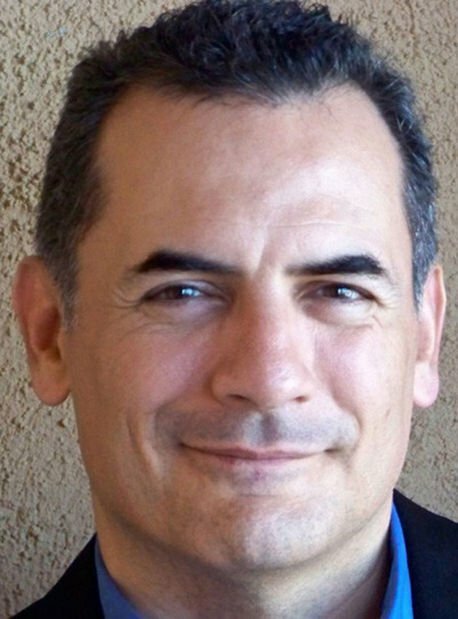 Miguel Ortega is a business development consultant, longtime west-side resident and emcee of the Fiesta Grande in Barrio Hollywood for the past 11 years.